Marilyn Farrell Named CNYRIC "Featured Teacher"
Congratulations to Marilyn Farrell on being named a Central New York Regional Information Center Featured Teacher! Ms. Farrell is a fourth grade teacher at Solvay Elementary School and has been with district for five years. Ms. Farrell was recognized as a leader in the use of technology in her classroom with her use of Google Sites. 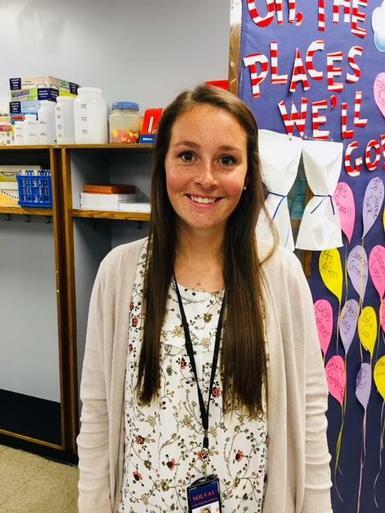 With the support of CNYRIC Instructional Technology Teacher Jen Wall, one of Ms. Farrell’s early projects has been centered around teaching her fourth-graders how to create online portfolios using Google Sites. To learn more about the different ways Ms. Farrell leverages technology in the classroom, read the CNYRIC Featured Teacher article here.